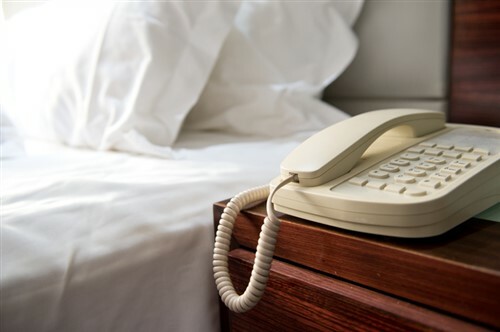 A hotel in NL has taken down its automated phone system after scammers managed to not only crack into it, but use it to fool guests into giving up their credit information. Last week, employees of the Holiday Inn Express at Deer Lake were notified by guests in two separate rooms that they had received calls from someone who claimed to be working the front desk. The caller asked guests to confirm their credit card information, explaining that there had been a “problem” when they swiped their cards as they checked in. After giving out their information, the guests became suspicious and contacted the front desk agent. The employee confirmed that the call the rooms had received earlier had not come from the hotel. The guests were later contacted by their banks, which notified the customers that their credit cards had been used to make suspicious online purchases. No funds were lost after the fraud was discovered. The RCMP has revealed that it is investigating the incident. Holiday Inn Express staff also said that they are working with its phone supplier and Bell Aliant to get to the bottom of the breach. In the meantime, the hotel has disabled its automated phone system until a more secure alternative has been implemented – all calls to the hotel will be manually answered by the front desk.